Lying Ali Modu Sheriff told Channels TV that I sent people to beg him for claiming that he was Boko Haram. These are the lies of a desperate and drowning man. He came to destroy the PDP and if we did not rise up against him and kick him out when we did he would have succeeded in his mission. I am proud to have been the first to see him for what he is and to publicly blow the whistle on him. I was one of those that led the rebellion against him and orchestrated the campaign to push him out and dump him as the National Chairman of our party and many have thanked me for that including some of those that brought him in the first place and attempted to impose him on us. The man is of the devil and no-one should believe a word that comes out of his mouth or take him seriously. 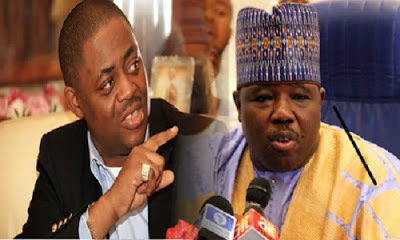 He is a curse to the PDP and the sooner he is kicked out of the party the better it is for us all.